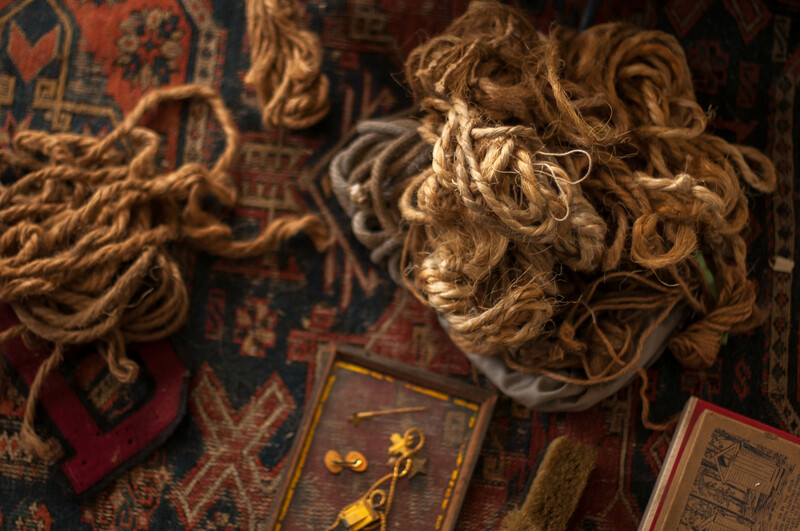 In a wardrobe, in a drawer, in a closed cloth bag were odd pieces of rope and string, most of it of sturdy plant fibers, some of it cotton or smooth linen, and a couple of long lengths that look as if they must be hair. Much too fine to be horse hair. It looks and feels like dark, blond, human hair. We were only surprised for a second. Can you imagine living in a world where there was time to give value to even those soapy hairs pulled out of the shower drain? Don’t just answer right away that of course that is not how you would want to spend your time, if you had time to spare. The hair rope is still here. Remember Ruth Stone, the poet you met? She once wrote about her grandmother’s hair. (I know this only because you blogged about it in 2011–I’d never HEARD of Ruth Stone! Great name). My Ruth Stone books are in NY but I will look when I get home. By the way, her granddaughter wrote a really nice piece about her after her death. Thanks, Wendy and Happy Passover! Thanks! A joyful Easter to you and yours.